Real Estate tradition says that the start of the Spring Market, typically the most active time of the year for both buyers and sellers, begins after Super Bowl Sunday. This year, that is this weekend. I was thinking of writing a post on the super fun establishments we have in the area for a bit of imbibing along with the big-screen watching. Then I saw this paragraph and changed my focus – to home – where I will be (unless I’m working). Hubby is used to this. 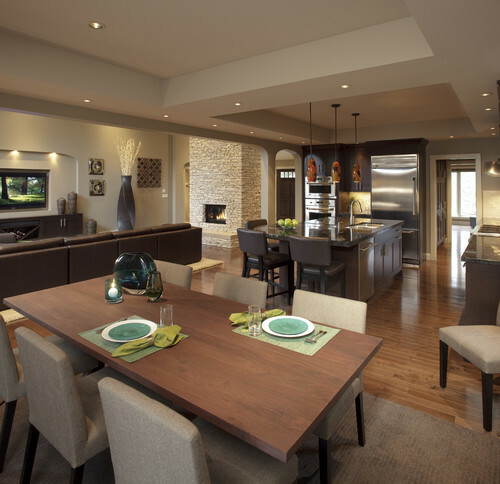 One of the most popular home features is the large kitchen-family room area or “open concept” living. On days like Super Bowl Sunday, homeowners and their guests enjoy the feeling of inclusion, room to victory dance and shout, easy access to the refrigerator, all those things that are very COMFORTable. Here are two great rooms: 1) Miramar/Half Moon Bay house; photo credit: Barbara Masek Photography. 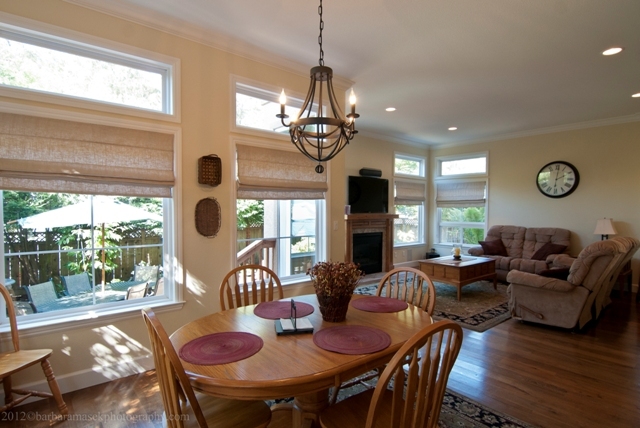 2) houzz.com image of a kitchen/family room layout. FOR THE NON-FOOTBALL FANS WHO WANT TO BE SOMEWHERE ELSE…LIKE LOOKING FOR A NEW HOME…Here is what is currently on the market in the Half Moon Bay area. Click the links at top or bottom as directed to see all the listings.